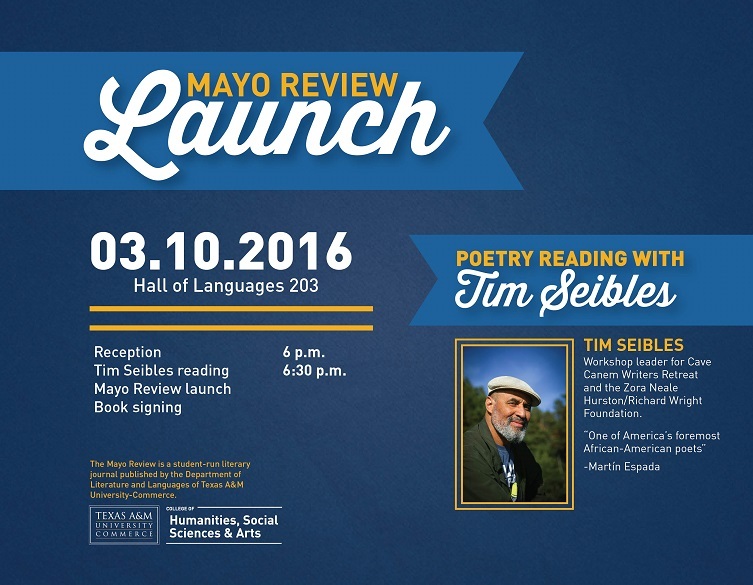 Join us for the Mayo Review Launch Party. Click here to see Facebook event page. The Mayo Review is a student-run literary journal published by the Department of Literature and Languages of Texas A&M University-Commerce. We publish the highest quality prose, poetry, drama, and visual art available from both outside and university sources. The Mayo Review copyrights all material in the name of the writer/artist. Contributors hold full rights to their individual works. The Editorial Board consists of Texas A&M University–Commerce students, advised by faculty of the Department of Literature and Languages. 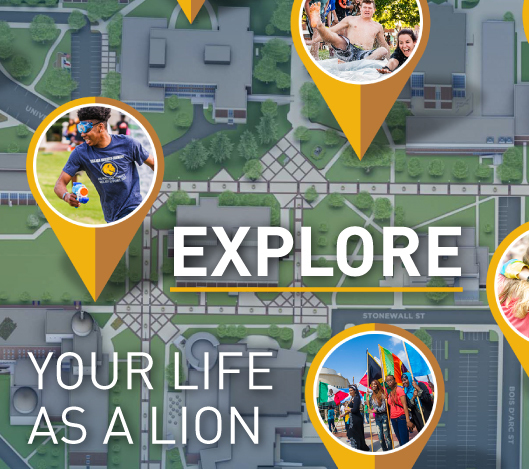 Any TAMUC–Commerce student, graduate or undergraduate, full or part time, may volunteer to serve as a Student Reader and/or as a member of the Editorial Board for a semester or an academic year. Students are not required to be English majors. The main duties of the Editorial Board consist of: reading submissions or reviewing artwork in the blind review process, making the final selections for publication, preparing the journal for printing, and distributing the journal. Anyone may submit. The journal encourages as wide a submission range as possible, and we look for the “best work” in a variety of genres. Copyright remains in the writers’ or artists’ names. No money is paid for submissions. The Mayo Review accepts submissions year round; however, the deadline for the 2016 publication is November 1. Any submissions received after the deadline will be considered for the next year's journal. The Mayo Review has a firm policy of “blind reading” of submissions for acceptance. The “blind reading process” is administered by the advisor(s) and editor. Names of submitting writers or artists do not appear on submissions. A variety of reviewers read and rank each submission in a multi-week long process. We are interested in the best, unpublished work in a variety of genres. Please submit no more than five total works for consideration. Each work must not have been published in print or online, including blog posts. Submit your work electronically, following the specific guidelines for the genre. Your mailing address, telephone number, e-mail address. 1 Name: We will print work under a pseudonym, if requested, but we must have your legal name on your submission for copyright purposes. 2 Title: We need the title of each submission for the Table of Contents. Be sure the same title is on each page of the corresponding submission. Also, name the digital file for the corresponding submission using part of or the entire title name. 3 Genre: Indicate whether the submission is a poem, short story, nonfiction, drama, or visual art. For further clarification see the bottom of this page. 4 Biography: We print short biographies of the contributors. Please include a brief biography with your submission. Your biography should include the information you wish to have appear in the journal and can be written in any style you choose. We reserve the right to edit for length, grammar, or mechanics. 5 Editing of Submissions: We reserve the right to edit obvious typographical or major grammatical errors. We only accept electronic copies via email. Please submit electronic copies (Word format for text / .jpg for photo art) as an attachment to the email and send to The Mayo Review (MayoReview@gmail.com). Our journal accepts submissions in fiction, poetry, drama, nonfiction, and original artwork. Although you may submit in more than one genre, you may only submit five total works for consideration. Please send a separate email for entries in each genre (see submission instructions above). Fiction - Limit of 2000 words. We are open to all styles; most important to us is quality of work. Limit to three submissions. Poetry - Limit poetry submissions to three poems. Individual poems should fit on one page. Send a query for longer works. Creative Nonfiction - Limit of 2000 words. We are interested in creative personal essays, memoir, life narratives, and lyric essays for publication. We do not publish academic articles. Visual Art – Limit submissions to five images. Submissions may be any printable representation of an art form you have created--pencil, paint, digital, sculpture, photography, pottery, jewelry, etc. All submissions must be sent as JPEG (.jpg) files, and at 300 DPI or at least 1000 pixels wide. Black and white or color art is acceptable for submission. Drama - Submit up to three short dramatic pieces of one-act length plays. These can include, but are not limited to, one act plays and short screenplays. Please include return address information with payment.